Speculative Faith | What About Christian Speculative Movies? Speculative fiction by Christians is not uncommon. Readers can find stories about dragons and wizards, about characters trying to survive in a dystopian world, about a clone who escapes the laboratory, about the people in a new fairy world, about space captains, about space aliens, about vampires, about . . . well, just about anything speculative you can imagine. But how will these stories make it to the big screen? 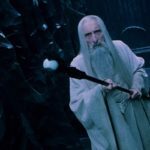 One of the reasons The Lord Of The Rings was such a successful movie series was because of the advancements in technology. Orcs on screen looked sufficiently similar to the orcs of our imagination, created by the words J. R. R. Tolkien wrote. Same with wraith wrights and Nazgguls the Balrog and Gollum. 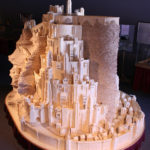 While “Christian,” Tolkien’s story came alive on the big screen because general market movies makers brought it to life. 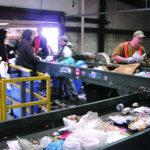 They had the financial backing and the technical expertise to do the story justice. Walden Media and Walt Disney Pictures attempted the same thing with the Narnia stories. They weren’t as successful, but the fault lay in the way they changed the stories, not in their use of technology to create Narnia, with Timnus the Faun, Mr and Mrs. Beaver, and of course Aslan himself. In part because of the success of these classic fantasy works, Christian fantasy—and all of Christian speculative fiction, in reality—received a boost. 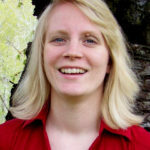 Books by Karen Hancock, Bryan Davis, Donita Paul, Jill Williamson, Patrick Carr, and many more have sold well and earned their authors repeat contracts with traditional publishers. In addition, as small publishing companies such as Marcher Lord Press (now, Enclave Publishing), took advantage of digital technology and began to proliferate, more and more Christian authors made their works available through the avenue of self-publishing, better known today as indie publishing. 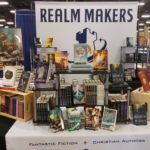 Realm Makers, the conference for speculative writers with a faith bent, has continued to grow and to receive more and more attention from agents and publishers, showing that speculative writers are not few and far between and that publishers realize there’s a genre out there they need to include in their catalogue. Even traditional Christian writing conferences such as Mount Hermon, the Orange County Christian Writers’ Conference, and now the new SoCal Christian Writers’ Conference are featuring continuing sessions and/or workshops for speculative writers. In short, speculative fiction by Christians is not uncommon. 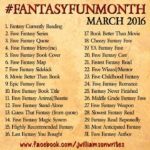 Readers can find stories about dragons and wizards, about characters trying to survive in a dystopian world, about a clone who escapes the laboratory, about the people in a new fairy world, about space captains, about space aliens, about vampires, about . . . well, just about anything speculative you can imagine. But how will these stories make it to the big screen? Will they? So far, Christian movies are notoriously low budget. How could a Christian movie include a dragon effectively without drifting into the high rent district where the big boy movie makers play? Is it possible? Andrew Peterson, author of the Wingfeather Saga, is making an attempt to break movies with an animated version of his story. It’s a great start, and I’m really looking forward to what the creatives he’s working with will put out, but I can’t help but wonder, will Christian speculative movies always be animated? Are they simply too expensive because of the special effects and the need to create non-human characters, that they’ll never catch on? I don’t think there’s a question that they’d catch on with viewers. I’m pretty sure thousands of people, who have not read the books, will fall in love with the Wingfeather children and their story. They are far more lovable than Harry Potter, and the world has richness that will pull people in. Not magic per se, but power. There’s intrigue, danger, mystery, sacrifice, even redemption—somewhat akin to that which Edmund experienced in The Lion, The Witch, And The Wardrobe, but with far more lasting consequences. The Wingfeather animated movie put out by the group Andrew Peterson is working with, will be wonderful, but I can’t help but wonder when we’ll see a “real life” version of a Christian speculative story. Will Space Drifters by Paul Regnier (Enclave Publishing), with all its outer space and alien planet adventures, ever make it to the big screen? 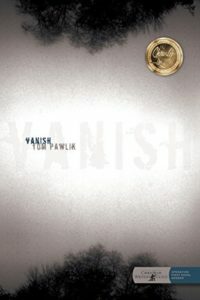 Or what about Tom Pawlick’s mysterious, creepy supernatural suspense, Vanish? Or Donita Paul’s DragonKeeper Chronicles? I could go on and on naming titles that would have movie potential but might never receive consideration because they could not be produced as low budget films. Christian movies are slowly growing up. They have improved their script and, as I saw for myself when I went to I’m Not Ashamed, they’ve improved their acting. But what about the worldbuilding? What about the special effects, what about the computer generated characters? Will we ever see Christians investing enough in movie making that they can produce a quality speculative movie? I’ll never say never. I actually think some Christian with deep pockets and with a vision for the light Christian speculative fiction can bring to the dark world of our society, could actually invest in such a movie now. Will it happen? Maybe some day. I’m hoping that Peterson’s animated film will be the start. I’m not holding out for the general market to pick up another fantasy, simply because none has sold well enough to convince them that the endeavor would be profitable. Which leaves the fledgling Christian movie making companies—those of the low budget films. What’s your take on the possibility of Christian speculative fiction finding a place in the movie industry? What books would you like to see made into a movie? What about Karen Hancock’s *Arena*? Starts out here on Earth & finishes here with the whole arena adventure in between.Always liked that novel. Or what would someone like N Knight Shamalian (sp?) do with *The Five Times I Met Myself* by James Rubart? Oops, that should be M. Knight… Sorry. Arena! Interesting choice. Yes, I can see that as a movie. There’s enough action adventure, and intrigue–mysterious intrigue. What is this, how do we get out, is the danger real? That would be a cool movie. Oh, and Rubart’s Book Of The Year novel–hate to admit it, but I haven’t read it yet. The title alone makes me think it’s a special book, though. And if it’s anything like some of M Knight Shyamalan’s movies, well, of course it would be great if he produced it. That would be a good add question: which book and who should produce it. Trouble is, I don’t know that much about producers. Others would have to comment on that. Shyamalan just happens to stand out! As a guy who loves animated movies and series, I’m totally cool with Christian stuff coming via paint and pixel. Hope I can be part of it someday. There are probably a few Christian speculative stories that could be done with a lower budget. Kenan by Karis Waters comes to mind. It’s a thriller set in the near future. It would also be nice to see a Christian film that didn’t revolve around Christianity since something like that could cross genres and be enjoyed by the general audience. The animation option is another good one, especially for MG and YA books. In the last decade or so, people have started to realize that just because something’s animated, that doesn’t mean it’s just for kids. I’ve seen DC cartoons that are PG-13, so this shows there’s obviously adults watching cartoons. TV shows, like Star Wars: The Clone Wars, have also taken on dark and mature storylines. That’s a good point about the attitude toward animation. It has shifted and people do take it more seriously. Many years ago Hollywood was going to make a movie version of This Present Darkness however it was never made. There are dozens of speculative Christian books that would make great movies. I think the Circle Trilogy from Dekker would be a huge hit. Lawhead’s Song of Albion would be fantastic. I’d even go see Amish Vampires in Space too. The more I think if it I’d say there are hundreds of great spec novels that would make fantastic movies. Now all we need is a few hundred million to get the ball rolling. Oh, my, Bright Empires? There would be so many different locations! I think that would definitely have to be a BIG budget film series. Donita Paul’s dragon books would require many dragons, similar to Bryan Davis’s first series. Rachelle Dekker’s “The Choosing” could be a fun movie too, come to think of it. So would any of Andrew Klavan’s books (but not all of them would be considered spec fic). Yeah, it comes back to that money thing, doesn’t it. I’ll say again, if there’s a Christian out there with money to burn and who wants to invest in ministry, stories that point people to Christ are powerful and should not be considered as less missional than some of the programs that feed and care for the body. Didn’t they make “House” by Dekker/Peretti into a movie? Except the guy I heard about it from thought the only decent actor in it was the girl cast as the creepy-somewhat-magical girl. Yes they did but even though I read the book I didn’t see the movie. It was apparently pretty bad. They also made the movie “Thr3e” which was a good book but the movie was terrible. That one I did see. I guess the point is they should make good movies from Christian spec novels not just movies. You’re right, notleia. I didn’t realize any of his work had been made into a movie. He co-authored that one with Ted Dekker, and I had the impression from comments he made that it was more Dekker than Peretti. Cindy, browse the “library” too—you’ll find all kinds of Christian speculative titles—indie published, traditionally published, sci fi, fantasy, supernatural, horror, dystopian, steampumk, you name it, we probably have listed the speculative genre you’re looking for that Christians have written. Hello, my Christian supernatural novel, Walker’s Vale is presently in pre-production with Allegentsia Productions being developed into a film. Can you confirm if this film has a budget more substantial than shoelace and the tears of unpaid film students? I find this is important in the guestimate of quality of production companies I have literally never heard of. Looks like Allegentsia has been around for a few years, but clearly they are low budget. Which doesn’t have to mean poor quality. BUT when you’re talking about speculative stories, I can’t imagine what the worldbuilding would be like. In House, that one mentioned above, they had a fixed location, so I can see that the expenses would be minimal (and should have gone into acting and directing and a good script). John’s book is supernatural suspense, published by Tate Publishing, which I think is no longer in existence. Yep. http://www.publishersweekly.com/pw/by-topic/industry-news/religion/article/72590-tate-publishing-closes-its-doors.html Don’t know what that might mean for a movie production. Hello – It literally just means that it’s time to find a new publisher which I believe I have. The film is still being produced.